This CRISP project addresses the challenges associated with the rapid evolution of the electricity grid to a highly distributed infrastructure. The keystone of this research is the transformation of power distribution feeders, from relatively passive channels for delivering electricity to customers, to distribution microgrids, entities that actively manage local production, storage and use of electricity, with participation from individual customers. Distribution microgrids combine the advantages of the traditional electricity grid with the advantages of emerging distributed technologies, including the ability to produce and use power locally in the event of grid outages. The project will result in a unified model that incorporates key aspects of power generation and delivery, information flow, market design and human behavior. The model predictions can be used by policymakers to guide a transition to clean energy via distribution microgrids. The expectation is to enable at least 50% of electric power to come from renewable resources. This cannot be done with either the traditional grid, due to its limited capacity to accommodate intermittent renewable power sources, or with fully decentralized approaches, which would not be affordable for most utility customers. This project addresses many socio-technological gaps necessary to translate from research discovery to commercial applications. To date, there is no theoretical framework to ensure system stability as renewable energy routed through power electronics replaces traditional rotating machinery. To achieve an optimal mix of storage performance and information bandwidth and to design nonlinear controllers, we will use Hamiltonian Surface Shaping Power Flow Control theory. We will study methods to detect malicious tampering with information flows. The complex interaction of intermittent resources, human behavior and market structures will be modeled in an agent-based simulation. System inputs will be provided by utility and meteorological data, and by behavioral models that incorporate information obtained by surveys, interviews and metering data. 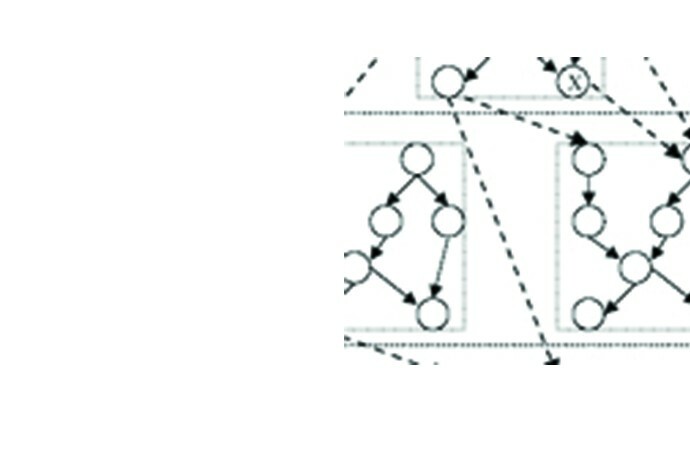 Emergent system dynamics will be abstracted and studied using dynamical complex network theory, to explore stability limits as a function of human behavior and market design. Finally, the effect of enhanced controllability of distribution systems on the robustness of large energy-information-social networks will be analyzed using interdependent Markov-chain models. Graduate students involved in this program will be exposed to a unique combination of skills from engineering, data analysis and social sciences; such cross-disciplinary training will prepare them for leadership roles in the emerging energy economy of tomorrow. Laura Brown (PI) received a $699,796 NSF grant. The title of the project is “CRISP Type 2: Revolution through Evolution: A Controls Approach to Improve How Society Interacts with Electricity.” The co-principal investigators of this project are Chee-Wooi Ten (ECE) and Wayne Weaver (ECE). This is a three-year collaborative project with four other institutions with a total budget of $2,499,801. The project addresses the rapid evolution of the electricity grid, from one based on few centralized generators providing power to millions of users to one where many distributed energy resources. The keystone of this research is the transformation of power distribution feeders, from relatively passive channels that deliver electricity from the transmission grid to customers, to distribution microgrids, highly intelligent entities that actively manage production, storage and use of electricity. Chee-Wooi Ten was born in Alor Setar, Malaysia. He received a BS and an MS in Electrical Engineering from Iowa State University, in Ames, in 1999 and 2001, respectively. Prior to completing his Master’s degree, he had a summer internship with MidAmerican in Des Moines, working as an energy management system (EMS) analyst. Ten was an Application Engineer with Siemens Energy Management and Information System (SEMIS) in Singapore from 2002 to 2006. He received a PhD in 2009 from University College Dublin (UCD), National University of Ireland. His primary research interests are (1) cybersecurity for power grids, and (2) software prototype and power-automation applications on SCADA systems. He has been with Michigan Tech as an Assistant Professor since January 2010. Dr. Steven Y. Goldsmith holds dual appointments in the Mechanical Engineering and Engineering Mechanics Department, and the Electrical and Computer Engineering Department. He is also a Senior Fellow at the Technological Leadership Institute at the University of Minnesota. Dr. Goldsmith spent 32 years with Sandia National Laboratories and retired as Distinguished Member of the Technical Staff in 2011. While at Sandia he developed information and control systems for many different applications, including nuclear weapon testing, particle beam accelerators, seismic array monitoring, arms control and treaty verification, environmental life-cycle analysis, e-commerce and international trade, electric grid coordination, collective robotics, information warfare, and automated cyber defense. His current research efforts are focused on intelligent agent systems and technology, particularly the development of adaptive and multi-agent systems. His current projects involve the application of intelligent agents to “smart” electric grid controls and microgrids and cyber security of distributed control systems. Copyright © 2013 AIM: Center for Agile Interconnected Microgrids. All Rights Reserved.